Today I’m thrilled to have my buddy Pat Flynn back on the show. Now I’ve had Pat on the show once before on episode 41 where we talked about how to make money with every online business model out there. In fact, Pat was gracious enough to come dressed for the occasion as he wore Stanford cardinal red and a beat cal button during the interview. I mean how cool is that? To be able to forsake his own college for a superior school is just a testament to his awesomeness. Anyway, Pat runs the very popular blog SmartPassiveIncome.com and what’s cool about Pat is that there’s always something new going on with his businesses. Last month, he brought in almost 108 thousand dollars from various sources such as affiliate marketing, iphone apps, ebook sales, software sales, podcast sponsorships…you name it and he’s done it. And this time around, he’s releasing a brand new book called Will It Fly, which covers a very important topic related to business. Now before I begin, I just want to give a quick shout out to famebit.com for being a sponsor of the show. Famebit is the number one market place for influencer marketing, with over 20,000 Youtubers, Instagramers, people on Twitter and via LinkedIn to promote your company in any vertical, whether it would be beauty, tech, gaming, pets and more. Yes, you can get famous Youtubers and Instagramers to promote your business for as a low as $50. And the best part is that you don’t really need any money at all to post a campaign and receive free proposals from creators. Now if you’ve listened to my podcast before one of my guests Emmanuel Elayae used famebit.com to make over $65,000 in four months with YouTube influencer marketing. 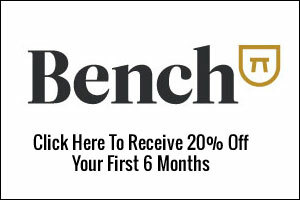 And the best part is if you use coupon code mywife@famebit.com, you will automatically get $25 off your first campaign. So go to famebit.com right now, and get famous you tubers to promote your products, now onto the show. Steve: Welcome to the My Wife Quit Her Job Podcast. Today I’m thrilled to have my buddy Pat Flynn back on the show. Now I’ve had Pat on the show once before on episode 41 where we talked about how to make money with every online business model out there. And in fact Pat was gracious enough to come dressed for the occasion as he wore at Stanford cardinal red [inaudible 00:02:31] during the interview. I mean how cool is that to be able to forsake his own college for a superior school is just a testimony to his awesomeness. Anyway, Pat runs the very popular blog, Smart Passive Income.com, and what’s cool about Pat is there’s always something new going on with his businesses. So last month he brought in almost $108,000 from various sources such as affiliate marketing, iPhone apps, eBook sales, you name it, and this time around he’s actually releasing a brand new book about a very important topic related to business. And with that welcome back to the show Pat. How are you doing today man? Pat: I’m doing well and you know I got handed to the cardinal for beating [inaudible 00:03:11] this year during the big game. I want to thank you for wearing your golden blue for the interview when you are on my show. So I appreciate that with little phone finger, that was great. Steve: The phone finger was classic. Pat: We have like a Photoshop for it going on. But I do it in my own Photoshop skills I must say. Steve: I know a lot of people on the audience probably know who you are already, but if you won’t mind telling us kind of what you’ve been up to lately, that would be awesome. Pat: Yeah totally. So I’ve been up to a lot of things. Moving into 2016 I wanted to think of what I could do differently than what I’ve done before. To help me figure out what to do, I’ve looked at my audience to see what it is I can improve, and what is necessary to better provide value to them, all those sort of things. So I looked in a couple of sports to help me figure that out. The first one is really cool because I have another podcast called the Ask Pat show or Ask Pat and askPat.com. And on that show, I answer voicemail questions from my audience five days a week. As a cool by product of this I get these questions coming in from my audience all the time and they are voicemails. So I get to hear their voice and hear their struggles and all the stuff. I hand select a few for the show, but I get dozens every day. By far the number one question that I had over the past two years of doing that show is, how do I know if what I’m working on is going to work? And that was a really difficult question for me to answer on a fifteen minute podcast. So I actually tried to do that, and I figured out this is a huge topic. I need to see how else I can do this. So I thought about turning that in to a blog post or an eBook or something and then, I did a survey also. And so I decided to write a book about it and it was a fun interesting topic to write about because actually I’m not the first person to talk about this. I don’t know if you remember in The 4 Hour Work Week by Tim Ferriss, he has a chapter called testing the news where he just, in one chapter, it’s a very small thing. But he talked about how for instance he paid Google for Google ad words to get cold traffic to a website where he was selling something. I think it was French Sherwood shirt or something, and he was validating that business idea. One of this see if people were interested in it first before building it out. And so he actually kept track of how many people clicked on the buy now button. And that was how he could tell whether or not this is something people wanted because that was a sign that yes, they were actually going to pay money for it. And that chapter was so short, but so many people talked about that and have used that to help them validate business ideas. And there’s a lot of other ways to do it that have popped up since 2007, and I wanted to explore that. I wanted to put it out there and share that with everybody in a nice step by step kind of manner. I think I talked about it very well. I’m very excited to share this book with people which is called Will It Fly: How to test your next business idea so you don’t waste your time and money, because really that’s what it’s all about. It’s about wasting time. You don’t want to waste time. A lot of us who are entrepreneurs and even us who are going to be entrepreneurs, we know that time is our number one asset. We do want to just focus on the things that we know that are going to work out in the end. And I kind of broke this book up into two major parts in terms of validation. There’s the obvious one which is how do you know if this thing that you are working on is going to be well received in the market? How does it compete versus everybody else who’s already out there, all those sort of things. But the second part and the most important part, which is why I start with this, which is how do you know if that idea is actually going to fit with the you. Like, how does that validate your strengths? How does it actually complement where you are going and where you want to be? A lot of times– I know you and I we both go to conferences and at the end of the day, usually after the conferences is over, we are sitting in a bar somewhere, and we have these chats and we get pretty deep with what we talk about. A lot of times these conversations are about like, how is life and stuff. And I know through just personal conversations with people, that a lot of successful entrepreneurs are unhappy. And they are unhappy because they are at the top of the ladder, but it’s not the ladder they want to be on top of, the business that they chose is not complementing their life. They go out into entrepreneurship to have control and they’ve lost control. Or they are doing something that they don’t feel fulfilled about. So I want to catch people early in this book. I’m really excited with what’s it’s become, because it’s going to help a ton of people. And the cool thing about this is you know, I don’t know if you coach people Steve, but I coach a few people and my students are like, a lot of times, they just simply need permission. They need– it’s like that’s great. Go do it, really? Okay. Okay. Somebody gave me permission to do it, so I’m going to do it. I want this book to be sort of that permission giver for people like yeah that idea is great, like it’s checked out. It’s gone through all these litmus tests. It’s kind of like taking these experiments and actually then going full scale after you’ve started with small scale experiments. It’s either that or people go through the book and they are like, wow this was actually a really bad idea. I’m so glad I didn’t waste two years of my life and money on it, and I figured this out now instead of later. Steve: You have someone handling your email now, I know right? Pat: Yeah, Jessica. I feature her in episode 155 of my podcast. I interviewed her because she was such a huge weight off my shoulders. Like she, oh my gosh, I had nearly 10,000 unread emails when I hired her. Steve: I got 24,000 right now actually. I need her. I need a Jessica. Pat: Are you serious? Oh my gosh. Steve: In fact how much are you paying her? May be I’ll have to make an offer. Pat: Yeah, I can make that connection for you, she’s like amazing. She was able to help me create a system where now I go into my email and I don’t even look at my inbox, I go into my “urgent box” and that’s what I need to see and only the things that I need to see. You know, she goes in there and reads most of my emails beforehand unless they kind of bypass the inbox and go directly into my urgent box based on who I’m getting emails from. But there’s a lot of systems in place, and you can listen into that in episode 115. But I’ve had her, I have Jenner who is my content manager. And really just focusing on the systems moving forward to make sure that my time is spent exactly where it needs to be spent which is kind of so much of the theme for this book. Steve: So on the topic of validation; it’s actually where I find most people screw up at least in the world of ecommerce. Not validating your product kind of usually leads to like a garage full of products that don’t sell. I had this one reader who actually recently brought in really nice lady. She had been running her jewelry business for six years. She has her stuff listed on Etsy, Amazon, eBay, but she’s actually only had a couple of sales in six years. Now, six years is a long time, right? What do you think Pat. Do you think it’s fair to say that her business isn’t working? Pat: Her business isn’t working, but there’s a reason that she’s been doing this for so long and I would say there’s a little bit of passion behind which she is doing, she sees it more than just a business. That totally can be great, but it also if you are trying to run a business that can earn profit, passion can also screw you up. There has to be some sort of business aspect on the other end of it which means you have to be making money one way or the other. So you know, I’m curious to see how her garage looks like, and how much inventory is there. Did she need all that in the beginning, or did she need to just start with a few prototypes and other things at first just to make sure that this is something that people would want to buy. Steve: Yeah, here’s actually another question that a reader sent in, actually specifically for you because I kind of told people that you were coming on. So if you wouldn’t mind yeah, so Steve and Pat big fun of your show. I’ve been rooting for the same football team for six years now, but they keep losing the big game to the Stanford Cardinal year after year. Should I just give up all together and wear the Stanford colors with pride. I mean six years is a long time, right? Pat: Well, let’s talk about this a little bit. No, because– no never, never go. Steve: Six years without a win. It’s time you get. You didn’t answer the first question correctly either by the way. You were supposed to tell the lady to give up. Pat: No, it’s not about giving up; it’s about reassessing where you are at, and what it is that people want. Really, that’s where it all starts. It starts with the market researching and understanding what people want and actually using transactions to validate, because maybe she did try validating. And this is what a lot of people do. They go to their friends. They go to their families and say, “Is this something you would be interested in?” And they say, “Yeah totally, I’d buy that.” But when it comes down to actually putting money on the table, they don’t. And that’s also where a lot of people screw up. So I don’t know how she went into this, but she’s done traditionally what a lot of people do which is they built something, maybe they heard it was a good idea. Maybe somebody said it would be, and they go to rooftops and they scream like “buy my products.” And then nobody buys it and they wonder why. The validation process is an iterative process where along the way you can see where the points of failure are, and you can figure out where to fix it from there, or if you should continue moving or not and then no on that Stanford thing, ever. Steve: So I would say that the people– so I ran a class that teaches ecommerce and I would say that the people who kind of run into problems fall in to two camps. Those that rush in without research, kind of wasting money on stuff that doesn’t sell, they get discouraged and then they quit. And on the other side of the spectrum, there’s people that never start because they don’t want to choose the wrong idea, they don’t want to fail. They are kind of scared about the competition. They don’t have the money or resources and generally they are just kind of scared to start. Pat: I mean that’s most entrepreneurs. I mean, you think about people out there who are scared to start and all the amazing things that they can do, it almost makes me sad. I mean, what if there’s a person out there who has the cure for cancer, but they are just too scared of the publicity that would come with it or the failure. But you have the cure for cancer. I’m not saying that ecommerce is essentially the same as a cure for cancer, but it might be. I mean you are solving a person’s pain or problem with the product that you are promoting and putting out there and creating. So you are actually doing your potential customer a disservice hopefully because you aren’t creating something that is actually helpful. When it comes to competition, the fact that you are coming in later than everybody else is actually a huge advantage. I talk about this in the book, because you get a bird’s eye perspective. You get to do some more research where you get to see, what I like to call your market map, your three Ps. You discover all the places where people are at and you target on each. You discover all the people who are starting out already, and also all the products they are buying already. When you create this map, you get a bird’s eye perspective of everything that’s going on, and you actually begin to start to know about that market better than the people who are already there. You can see what the problems are. You can see where the issues are, where the holes are. It’s very easy for you to see what’s missing. And then you go in and you talk to some customers and you talk to people in that potential market and you see exactly and you hear from their own voice what it is that they need. That way when you go into the space, you are not just guessing, you are not just creating something based on a win. You are going there knowing that this is something that people want. And that’s really what validation is all about. It’s taking that guessing game out. I mean, I want people to go out into this book with an idea in mind and go through the litmus test where the people who go read this book and get new ideas along the way. But what happens and every time I’ve ran people through this process, when I’ve validated this book and the principles in it, their idea mops. And it mops because it stops being our idea and becomes an idea for our audience, and it turns into something that will work for them if you actually execute. That’s another big thing; the idea is just part of it. Steve: I was hoping actually we could just kind of go through step by step through your framework. I know you’ve released a product of your own in the past, the podcast player. And you followed the same principles that you talk in the book. Pat: Yes. The other thing on that specific example though is because, and why that one is really important, is because I made a huge mistake back in 2010 with software. That was my first foray into software and I rushed into it. I didn’t do validation. Two of my friends released WordPress plug-ins all within about a couple of miles from each other and each of them were making six figures a month from those releases, and that’s why I got into it because I was like, wow, this is an incredible opportunity. This is working for you guys. I am going to come up with some plug-in ideas and sell it, because I have this platform at smartpassiveincome.com. It’s going to go really well, right? And so the first thing I do is come up with ideas really first, and then I kept them secret. That’s the first mistake that people make. It’s like, they keep it a secret. And I wanted to keep it a secret because A) I was too afraid of telling other people about my great ideas and having them steal it which will never happen, and B) I wanted it to be like this huge reveal on my day one, you know from launch. “Oh my god, look at Pat’s amazing plug-in. Let’s all buy it.” That obviously never happened because I didn’t release it. I spent $15,000 trying to develop two at the same time. That was how greedy I was. That goes back to the purpose of creating in the first place. It wasn’t to help people. It was actually to just try and make money. And every time I chase the money, I’ve always failed. Every time I’ve put my clients first it’s always been a win. So that was a huge lesson there. But also because I rushed into it, because I didn’t validate it, and because I didn’t go through some of the steps in the book which is like, what is this idea actually mean. You know, we have these ideas in our brains. Our brain does a really good job of getting inspired and coming up with things, but it doesn’t do a very good job of ordering them. We think these things all over the place. And I tried to portray that in an email to these developers and because of that they just didn’t understand exactly what I wanted. I didn’t even understand what I wanted. And when they came with something, it was not what I had envisioned. And there was no way to match my vision, because I didn’t really have one. I just like, hey make this for me. And it just didn’t work out, but again, because I didn’t validate in the beginning. Steve: You didn’t try to sell it at all though, right? Pat: No, no, it was just terrible. I mean, I literally shared it after it was built. And people were like, “Yeah, that’s okay.” And that was, oh man, this is not going to go so well. I should have done that first. I should have just had the idea, shared it with a few people on my audience, share it with a few of my friends and colleagues to see if this was actually something that they would want. And when you speak about your idea with other people, they start to pull calls on it. They start to tell you what could be better; they start to tell you what’s not so good about it. That’s what we did with the smart podcast later. You know, I actually built this thing for myself and then I actually wanted to share it with others, because they all said that they wanted in, but then when I came down to it I wanted to see whether they would pay for it and that’s where the beta group came in. Then we released as a WordPress plug-in. But I released it in a sort of an MVP model which is a minimal viable product. All these ideas I had in my head in terms of what I wanted to include in it, they wouldn’t validate it. I went to that beta group to see what it is that they would want and actually it turned out to be completely different. So I was so glad that they were there at the beginning. I guess I can just walk you through the process. Steve: Yes, let’s take a step back. So step one, I know the first chapter in your book is called mission design. What do you mean by that? Pat: So mission design is kind of stepping away from this idea. Like, yes, it’s about validating your idea, but it’s about looking inward and seeing where you want to go, and does this idea then actually complement that. Does it fit into that trajectory that you want to go on? Does it fit into your five year plan? The mission design is really all about these, there’s three thought experiments within mission design that are really important for you to think about so that you know where you are going. It’s like, the analogy I use in the book and you know, there’s a few flight analogies in the Will It Fly writing. It’s because we’re always in the launch stuff, but launching is just the start of it. How do you know if it’s going to take off and fly, that’s why it’s called Will It Fly. This is really like how do you know if this is going to fly for you? And so the first test is really important, because it helps you determine like what would be perfect, what would be a perfect flight in five years. If you think about that, what would you say? I mean, the way that you break this down is you fold a piece of paper into four sections so you have four portions. And you right down your top four categories of your life that are most important to you. So for me it’s family, professional, finances and health, and then under each of those categories, you literally write down, what would make you say that life is awesome and perfect five years from now. This is not like a wish list or anything. It’s like you are literally thinking what would be perfect right now for five years from now. And this sheet that you create becomes the basis for all the decisions that you make. It has been so helpful for me, because actually for me I get all these new opportunities coming my way, and a lot of times we get like googly [ph] eye with certain opportunities, but then I look at my sheet and I see, well, that actually won’t be a good fit for me. Like for instance I have this opportunity to create a hosting company right now for podcasts, which makes complete sense for me and who I am in my business in terms of where I’m at in podcasting world and all that stuff. It could potentially make millions of dollars and I have it on air space already, I mean every customer at [inaudible 00:20:07] podcast can become one of these people. But it just doesn’t make sense for me right now with my family and my health, because all the things that I listed it would take me away from that. I would need to put a lot more time and effort into the professional and finance part, but it would take away from my health and family part. Steve: So is the framework that you are talking about more for a kind of higher level goals, like we are just talking about the podcast player. Obviously these things are just too deep for a product focus idea, right? Pat: Yes, but the product then becomes one component of you leading up to that. So that’s the first thing. And then there other things, for example, like– so that experiment kind of you looking into the future. The other one, you look into the past and you look at all the different jobs that you’ve had and different vocations and careers and maybe volunteer work and teams that you’ve joined, and you think about what you liked and dislike about those things, because a lot of times we move through life without really thinking about what we like. We just do that whatever it is we are doing right now, but when you look in the past, you kind of get this parameter of the things that you like and the things that you dislike. And you can make sure that the things that you continue to do from that point forward match up in line with the things that you like and not with things you dislike. And for instance, I’ve run through this experiment for a lot of people who love to be sort of behind the scenes. They love making things work, but they are not really into putting themselves out there in front of the world, so they are more likely to be happy with building a business on the back end, something a little bit more on sort of the ecommerce side where they are not necessarily the face or brand of their business, but they are on the back side creating things and putting things out there into the world. Whereas me for example, I love being in front of people, I love talking and being the personality, so that’s why, Smart Passive Income, even though that’s what it’s called, everybody knows that that’s Pat Flynn site, because I put myself out there. So there’s a few other exercises and mission designs that are never really important. But I think what most people might be interested in are how to take this idea and actually develop it and get into a place where you can then validate it and actually having people pay for it before you actually build it. And so to start with that, it really starts in what I like to call the development lab. So it’s creating this idea, but then actually mind mapping out and then figuring out what its purpose is. And there’s a really cool exercise where if you have this idea, I want you to write a whole page worth of, what is this that this thing is? What is it that it does, who is it for? What are the benefits, what are the features? And then take that one page and try to squeeze it down into one paragraph. Can you get all those essentials out of that page into one paragraph? And then one more time, turning it into one sentence that becomes the thing that you are doing and why you are doing what you are doing now, and who is it for. That is a golden opportunity for you. And the cool thing is it’s a stranger. You won’t ever see them again. You won’t really know– you won’t really care what they have to say, but it’s going to be so important for you and what you move forward with. And even though they might poke holes in it, that’s good information for you that you can use moving forward. Steve: So you don’t advice going to people that you know or your friends for opinions? Pat: I think it’s still helpful, but your target customer or just random strangers is where you can get the unbiased kind of information from. If you go to your friends and family, they are going to want to tell you what you want to hear, but not necessarily what you need to hear. Steve: What about finding people that are in your target market right? If you go to Starbucks or something, that person might not be your ideal customer, right? Pat: No, but they can still give you some good advice, but you are right. I think the best place to go to is to find people in your target audience. And so there’s actually an exercise in the book, I actually talked about earlier which is your market mapping. There’s specific steps on finding places online and offline to find where those people are. Forums are great, forums I think are the most underutilized tool on the web, because there is just a plethora of information on a specific niche, people who are pouring their hearts out telling stories, asking questions. It’s like going through their problems and people who are all in that space talking about it. Because a lot of people don’t realize how important forums are because it’s where you connect with other people like you. And if you can go into those forums and use the search functions, there’s some really cool search functions you can use in Google to scope out some really cool things. So for example, if you want to find out problems that your target audience is having, you can look up certain phrases in those forums using Google. And Google will spit out every thread in that forum where those certain phrases were used. So I can say for example, let’s use, I don’t know, just any forum. Let’s use the fire fishing forum for example. If I want to look at a certain phrase– sorry I just heard my daughter crying. Steve: Yeah, I hear that. Pat: She’s like don’t give away this tip, Still the trick Google is, you know how when you put quotations around a word Google spits out the top search results for that exact phrase. Well you can do the same thing, but look through a specific website for that exact phrase, sorry. Steve: Pat is still recovering from the cold by the way, just so you guys know. Pat: I am, but that’s okay. So you put a certain phrase in quotations, space site colon, and then whatever URL, so firefishing.com. And that will then spit out every inference of that phrase in that forum on Google. Steve: I used to do this all the time for the wedding forums to figure out what brides were looking for actually. Steve: I was Christine [inaudible 00:25:56] on the forums. I never went [inaudible 00:26:00] but yeah. Pat: You don’t even need to be a part of the forums to find that information although you could go in. But those forums are really helpful, because then you can go in there, you can talk to people, you can build authority. Actually there was a forum in the Lead Exam space that I became an authority in, and that really helped to launch the Lead Exam website that I had. And I didn’t go in there and I didn’t start promoting right away. I went in there, I built friendships, I added value, I answered people’s questions, I became a resource for people and then all over a sudden people got interested on what I had to say and what I offered, and that’s when my business started to grow from there. But that’s where you can find people. Plus there’s also websites and you can look through iTunes, there’s a search engine. Amazon is a search engine; you can find a lot of authority figures there who you can then look at who their followers are, Facebook graphs, which is a fantastic resource to find people too. And then again it’s just about putting yourself out there, making cold calls is actually one of the best strategies you can use too and that’s a tough thing to do. But I know some of you who are listening to my show might remember Dane Maxwell’s episode in episode 46 where he used to cold call small businesses and just ask them, “What are your biggest struggles? What is something you do every day that you hate? What’s a software that you use to help you, and what do you wish was done better with?” Those are all idea extractions and questions that tell him what needs to be done, and he can go in there and build that software for them. Steve: You know it’s funny. Cold calling is actually quite difficult, because a lot of times they don’t want to talk to you, and you end up dealing with a lot of objections. We do that for our business too. We cold call event planners, and kind of ask them if they need any of our services. It is tough. Pat: It is tough and that’s why I feel like now you can utilize social media to actually initiate those conversations, or emails to just establish a relationship first before you call them out of nowhere. If you can provide value in the same way, or at the same time, then you they are going to be more likely to reciprocate at least by just having a small conversation with you and then you can go from there. Steve: So one of the biggest mistakes for the students in my class at least is that they go in with a product that they are interested in and it has a market for, but there’s nothing unique about their product, it kind of just blends in with the rest. So what are some of your frameworks for figuring out what’s going to make your thing special? Pat: So the market plan will help you because you get to see all the products that are out there. But one of my favorite things to do is go on Amazon, I know a lot of you use Amazon as your foot billing platform. Look at the competitors products and look at the three star reviews for all those products. The five star reviews are okay and you know a lot of times it’s just like super fans, and you get some good information three too. And the one star review maybe had a bad experience or whatever. The three star reviews is where you can get the most honest information. You know because it’s a three star review. There is going to be things they like about it and things they dislike about it. A lot of times you come across these reviews that literally say, here are the pros of this and here’s are the cons of this. I also like to, if I were in the ecommerce space, which I might get into in the future, I would literally buy those products and use them and see what they are like, and see what I can do to make them even better and then talk to people about what those ideas are. Say, “What if you had this but it also included that, how much would that affect your love for this product, or how much do you feel that would change your thoughts about what this actually can do for you? Again those conversations are so important to have. And then also then taking a little bit of initiative and making a prototype of what that next thing might be and see if it’s actually something that people would– gauge their reactions. That’s the most important thing and why I love the one on one in person reactions or conversations, because you can literally see in a split second what their thoughts are and gauge their body language on what a new feature might do to your product. Those conversations are really important. Steve: So in the context of your podcast player, did you go through and test a whole bunch of different players and then asked people what they liked and disliked about the existing ones? Pat: Well, the interesting thing about that one was all the players out there were just simply a play button and a stop button. So it was easy for me to determine what other features could be included to differentiate it, but then it was a lot about which ones are most important. Then we actually went in and actually surveyed a bunch of people and said okay out of these lists or out of this list of features that can be included in this product which ones are most important to you. Pat: Then we got the top ones there, people added their own and some of them were kind of outlandish and some of them were right on the money. Again I wouldn’t have known that if it wasn’t for those conversations, and those conversations can be hard to deal, I mean I had one on one conversations through Skype, but also we ran a survey with some of our beta group, we tried to figure that information out. Those in person conversations which are the most helpful they can be very– you can get very nervous leading up to that. I think even that goes along with what you said earlier, some people are just sacred and it’s really scary, but that’s part of the process of becoming an entrepreneur. It’s not going to just land in your lap, you have to do the work, and you have to go out there and get uncomfortable because that’s where all the awesome stuff happens is when you get uncomfortable. If you are comfortable the entire time, it probably means you aren’t doing what you needed to do. Steve: The process that you went through, it sounds like you sent out a list, created a beta group of people who were interested, and then you proposed to a much smaller group a list of features that you had them evaluate essentially right? Pat: Here’s the validation process, so this is part four which is called the flight simulator where you’re actually doing a small scale experiment with this idea that you have that you’ve kind of flushed out already. You’ve determined based on conversations, based on research, based on what this would be. This is kind of like where your myth is and myth busters right? What you want to put to the test. The first step is you get in front of an audience. If you have an audience already great, if you have existing customers perfect, that’s where you start. If you don’t I should give you eight different ways, actually nine different ways that you can get in front of an audience even if it’s not yours. I think this is where a lot of other instructions on validation falls short is they often assume that you have an audience already. There’s a lot of different strategies from paid advertising to getting on other people’s shows to kick starter and suing platforms like that to get in front of an audience and validate your product too. That’s a first step, and then from there if you get in front of your audience or you have an audience already for example, then it’s about hyper targeting. What I mean by that is you have this audience already, but your solution is going to be only for a certain people with a certain problem, and you have to have people in that audience to essentially raise your hand and say yeah I have that problem or I could use something like that. Again you’re hyper targeting because those are the people you want to actually test and have conversations with when you propose your idea which is the next step. You want to share the solution with them and then come back to them a little bit later and say, okay well I’ve had a few people that were interested in this. If there were indeed people who were interested, and then you say okay, well I need to know for sure that this is actually something that you are interested in. If you are I am trying to get 20 people to actually preorder this, which will give me notification like yes this is something to build, and if I don’t get that I’m am not going to build it. I mean again you’re being very honest about this, this is kind of what’s different than the ten fairest model, which is like you have a buy now button which looks real, but you’re just gauging that quick note. This way you’re actually having conversations with people and you’re saying this is what I propose, this is what you all said you’re interested in. If you are preorder it here or PayPal me this money here which is what some people do actually. If I get 20 people, then I am going to build it, if not I will just simply refund your money. Steve: Incidentally that’s actually how I launched my class. I got on like a webinar and I said I am going to build this course, prepay me and I’ll develop it, and 35 people signed up right away, and then I was like crap I guess I have to build this now. Pat: Yeah, but that’s is good you know it’s going to work instead of where a lot of people do is they would build that course first, and then say hey guys I’ve got this new course, are you interested? And then maybe they’re not. In that way you knew because there were 35 people that were interested, so you did have validation to move forward there. I liked how you said you used the webinar because that’s another strategy to get in front of an audience whether you have your own. You get them on a webinar, or you paid to have cold traffic get in to this webinar and they get to see you and of course on that webinar I’m sure you provided a ton of value. Then you had your pitch at the end, and then people were interested and that’s actually, I have several examples of people who have done this in all different kinds of ways in the book. A couple of people have used the webinar strategy very well. Some people just went out and hustled and talked to a bunch of people in person. I know that Kagan actually I don’t know if you know this, but he validated a beef jerky subscription company called Sumo Jerky. Pat: If he didn’t validate it wouldn’t have been built, but he validated it, and that told him to put more resources into it and build it out full scale. Steve: Let me ask you this, so let’s say you had zero audience and you wanted to market your podcast player, what method would you personally have used to get feedback about your player? Pat: Well I would start with building a list of who the podcasters are out there, and then also who the podcasters are out there who have influence to other podcasters, because that would be really important to know. I would get in front of those people, talk to them maybe even get in person with them at a conference or so and take them out to dinner, and then tell them about what this idea is, and actually give them a copy to use and actually set it up completely for them maybe, even on a sand box site to show them what it looked like so they can see if it’s actually that’s my prototype for them, and they can get a fill for what it’s like. Then I can say hey if this is something you’re interested in, I’d love to give it to you for half off. If I collect 20 people or however many people depending on how many people you reach out to. Essentially you want to get eight to 12% say yes and actually pay you based off the amount of people you ask. That’s sort of like in alignment with the earlier doctor graph. Steve: It’s funny that you mention going to conferences, because it is kind of hard as a nobody to just randomly reach out to people and have them respond to you right? Pat: It is but it’s not possible right. Pat: No, I’m not going to talk to you right now, but they will shake your hand and even if that’s not where you have this conversation, you at least made a point of contact. Then when you follow up with them later, even if you call them it’s no longer a cold call anymore. That’s why conferences are a great place to go, but even if it’s not a conference establishing that relationship on social media, sending an email out or starting as a person who runs a guest post or maybe you talk about and reveal all this incredible information. Again asking for nothing in return, but then you later then talk about this opportunity. That’s how a lot of people have gotten in front of me is we build a relationship together, and then I later find out that I have this really cool thing that’s is going on, and I ended up buying it or using it, and then of course later promoting it to my audience. Steve: We’ve kind of covered steps one and two. Three is kind of market conditions right, which is determining the level of competition and what’s out there? Steve: We’ve kind of it seems like we’ve kind of mixed all the different steps together. Pat: Yeah, we kind of did. Steve: Is there anything that we missed in that spot and kind of just gauging the competition and what the market is like? Pat: Yeah I mean one of my favorite things to do is come up with your customer plan P-L-A-N. This is something I came up with which is sort of an alternative to your customer avatar. Obviously knowing your avatar is important, and avatar is sort of a made up person that you create who is your ideal customer who you can know about them. A lot of people will give this person a name, and a life and what their problems are. Steve: My avatar has always been wrong. Steve: We make it up, and then it turns out not to be the right market, and then we just switch on the fly after we have a couple of customers. I don’t know if that’s how your experience? Pat: I like how you say that it was after when you got customers, after you got people who actually are in your target audience, and you’ve gotten to know them or at least get an understanding of their buying habits and what not. The customer plan the P-L-A-N is not going to– the P is the problems. You’ve got to know what the problems are. Every business is just a solution to a person’s problem, and the better you understand those problems the more likely it is you’re going to succeed right? Then it’s the language, that’s the L and that’s really important, because the language is what your use to connect with that person on your sales page and conversations and tweets. You’ve got to know how they describe those problems or what they say. You’ve got to understand the language of your audience, and that’s really important especially if you’re going into a space that you know nothing about, because then if you start talking about this solution that you have, even if though it’s a great solution if you don’t know the way that that audience talks, you’re just going to seem like you don’t belong there. You need to know the language. Steve: On that language point before you go on. Yeah so incidentally I use that technique when people start asking me questions I would use their language and put that on my sales page, and that actually ended up helping improve conversations on myself. Pat: Like to really copy paste it, right? Pat: Yeah, you can do that. I mean the survey that I ran in July I literally copy pasted parts and put them in my email sequence, like for subject lines and bullet points and the response rate has been huge. I jumped from a 35% open rate to about a 75% open rate on sending those emails which is crazy. The language is super-super important. Then the A is one of my favorites which is the anecdotes or the stories, and this is where you can start to get like really into the feelings and really into the head of who are your target about customers. It’s actually like pin pointing a few people in your target audience and getting just to know them and what their story is. Some of the best questions you could ask in those conversations, I got this from [inaudible 00:40:05] from you know MPR and startup because he was talking about– he’s a great interviewer right, and one of his favorite questions to ask is tell me about a story when blank. That’s one of the most powerful questions because then your option is going to get, “Oh well I did this and this.” It’s like oh well, it was Saturday morning, it was kind of– you get this whole spectrum of really the whole setting of everything. That’s really important to know when you are looking to get into the heads of your customer and then the N is the need. Based on the problems and the language and the stories you can really come up with what truly that need is that you’re trying to solve, and again when you get to know that part of your audience the plan it does become your plan. You get to create that thing to really help them, and then other part of the market map going back to the three Ps that I talked about earlier. You’ve got the places the people and the products. If you were to just simply do that, like if you were do that right now and list just the top 20 places your audience is at, the top 20 people the other influencers in the space, and the top 20 products that they use better on a Amazon or elsewhere. I mean that is such an incredible tool that you can use because okay you’ve got the list of places. Those are places you can advertise, those are places you could guest post on. Those are places that you could do retargeting on, or any of that stuff. The people, those are people who you can JV with, you could have as a guest on your show or be a guest on their show. You could connect with on Twitter and follow up and build that relationship. You could scope them out on at conferences, and the products those are potentially products that yes your competitors, but you can also be an affiliate with them or work out deals with them, or at least get an understanding of what the top products are that people are buying, and what’s wrong with them so you can come out and them build something that’s even better. Steve: I was curious on you anecdotes, can you give me an example of someone you would target for example maybe in the context of your podcast player an anecdote example. Pat: Yeah so you know to discover the anecdotes for that one it’s a little bit tougher, because nobody really even thinks about the podcast player, but the story is about the podcast and how they’re trying to grow it and how they’re trying to make the experience better for their audience, and how they’re struggling. I have these conversations all the time with people about their podcasts. It might be– I can’t pin point a person specifically right now, but there are people out there who are coming up with brand new podcasts, they have a new show, they have a new noteworthy and they just want as many people to listen to their show as possible. Digging deeper into that, part of the information that I’m giving to people that people might not know which is what you’re doing when you come out with a product a lot of times is for this one is specifically is that a lot of people didn’t know that a lot of people listen to your show on your website as opposed to on iTunes or in Stinchar. Pat: Even though we want them to listen to there, I have dated a backup to the fact that people are listening on your website, and so what is that experience like for people who are listening, who is listening on your website. Well it’s a play button and a stop button and a volume button and that’s it. Well what if there is was an opportunity there in that call to action that moment that usually it’s a first impression that people have to make that experience even better. The conversation or the story might not be the podcast star, maybe it’s about the podcast listener who is listening on the website. Yeah press play button and I read this show notes and that was it. Well that is a boring experience like how can we enhance to make that story even better? Steve: Yeah the reason why I asked that question is because in the context of my email autoresponder I had started telling stories about my life related to business. Once I started doing that I found that people started buying my stuff after reading these anecdotes. For example I told a story about how I almost didn’t ask my out my wife and take that chance, and it’s kind of related to business right talking that leap. Steve: It starts with a story right? Pat: Yeah it starts with a story about my son who on his third birthday I taught him how to fold the paper aero plane, which was like the coolest thing for me when I was a child, so I wanted to pass sit on to him. I folded just a plain dark design, I flew it across the room, and he was just like, Oh my God amazed. Like any three year old boy who saw his dad do something cool, he wants to do the same thing, so he like immediately grabbed a piece of paper, and even before I could give him instructions he kind of like started folding, like going through the emotions, but obviously it just ended up becoming this, it looked like a boat really more than a plane. He threw it and it didn’t fly anywhere of course, and he flew it again and he ended up saying I hate paper aero planes. I was like no like you’ve got to, you need somebody to teach you these things and these principles first. It needs wings and all these things. I think that’s how a lot of people build their businesses, it’s like they see other people doing something and its cool, and they try to emulate it, and then the first moment it goes bad or doesn’t work they just give up. Pat: You have to get that instruction, you have to go through a process of folding one, and then folding the other an then actually having that plane before you can fly and make it work. Now you know ever since I taught [inaudible 00:45:40] how to do it properly, he’s has been coming up with all these new designs and trying things out. He understands now that failure is a part of the process, and that’s what entrepreneurship is, but also getting advice and learning from somebody who’s done it before is also really important too. Steve: At this point we’ve talked about validating the idea, the value preposition, the mission design. What is the next step after we validate it? Pat: All the systems go. I mean not just start selling, but then you building it out and actually work with those people to turn it into something that they would use and your other targeted customers would use. I mean a lot of people get the validation part right, but then they just build and then they start putting in their own things into it and no. You have this amazing resource from your existing customers who have paid you money already, talk to them. They’re going to want to know and keep up with what you’re up to, so keep in constant contact with them, creating a small private facebook group for those people so they can stay connected to you and what you’re up to, providing news updates. It’s just like on kickstarter right? It’s the exact same thing as kickstarter and actually kickstarter is a great platform for validating although it comes with these all other things like fulfillment of pledge things, and actually going too big at first which is why I don’t recommend it. Like kickstarter, after the– I don’t know if you’ve ever backed anything on kick starter Steve? Pat: You’re paying for something essential that isn’t built yet, and over the course of the period when the contest ends and you get that item, they are giving you updates on the manufacturing process, they’re giving you insights, and at the same time they’re also building that relationship with you in addition to just keeping you filled in on when that thing is going to come and arrive at your doorstep. You can do the same thing with your audience too, and by the time you get to that point you’ve build up this thing, you know the systems, you’ve created it in a way that your target audience wants, and it just becomes this thing that you can scale. Scaling is different for all types of businesses obviously, from consultation work and private stuff to just digital mass production, but that’s where you go from there. Steve: It seems like all these principles that you’ve talked about apply to pretty much anything regardless of what type of product, whether it’s a service or product or a physical product, right yeah. Pat: Totally, like if you’re doing a service you would actually be doing that service for somebody and seeing if A) they would want it. If they don’t want it, then you don’t have to worry about everything else, but if they do then you go and you do it and you work with them to see if it was done well and what could be done better. Again you’re doing it with just a few people before you do it with masses. Steve: Yeah that’s great Pat. We’ve been chatting for quite a while already, surprising actually. Pat: Yeah, I can’t believe it. Steve: Yeah, so when does the book come out, where can you get it, and if anyone has any questions for you where can they reach you? Pat: Thanks Steve well the book comes out February 1st, which I am like super stoked about it and very nervous. This book was really hard for me to do actually, because I’ve been blogging for almost seven years now, and I can write a 5000 word blog post in half a day or a day, easy, but this book was just a challenge for me. I think it was a challenge because I wanted it to be great. I am very happy with what I’ve come up with what I came up with, and so willitflybook.com, you can check out the book. It comes out February 1st. You can preorder it before then, or order it of course afterwards. 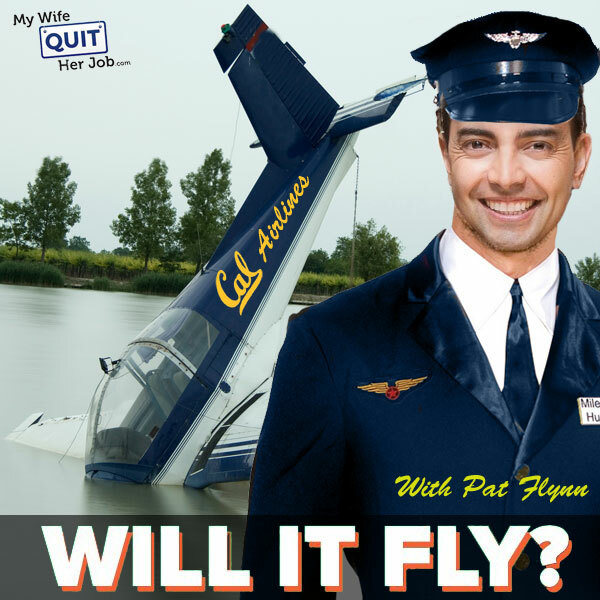 Willitflybook.com, and you can connect with me on Twitter @patflynn if you have any quick questions about it, and I’d love to answer and I am here for you guys. Steve: Yeah and I am giving away recaps to Stanford fans only, so if you’re a [inaudible 00:49:08] unfortunately the offer doesn’t apply. Pat: I don’t, oh man. Steve: I just came up with that by the way. Pat: That good, oh man that’s funny. Steve: I’m just curious before we go why a book, because it’s a tremendous amount of work. Why a book and not a series of YouTube videos or something like that? Pat: Totally great thought. The book I feel a lot of people read books right, and a lot of people feel like the book is the start of a lot of things for them, and this book I wanted it to be different than other books. It does have a lot of actionable information; it does have a lot of exercises. One of my pet uses of books are books that tell you why and what, but not necessarily how. This book does tell you how and I feel like it’s a low easy non threatening sort of a starting point for people. That’s why I wanted it to be a book, and there is of course other things coming and courses and other things coming out later, but the book I felt like was a low buried entry into entrepreneurship, and if I could be there to help hold people’s hands along the way, then it’s going to maximize my impact and maximize the amount of people who actually follow through. Steve: Cool, sounds like a good reason, well hey thanks Pat for coming on the show, really appreciate you coming on. Well there you have it, and I hope you got a lot out of this episode. Most of the people who fail at their business neglect to validate their niches before investing significant time and money into a venture. By experimenting and selling early and often, you will eventually find out what works, so pick up Pat’s book which will be available next week. For more information about this episode go to mywifequitherjob.com/episode101. And once again I want to thank Famebit for sponsoring this episode. As I mentioned earlier Famebit is the best place to find Youtubers, Instagramers and other influencers to promote your products online, and it works. One of my podcast guests Emanuel Elayae used famebit.com to make over $65,000 in four months with YouTube influencer marketing, and it costs as low as 50 bucks. 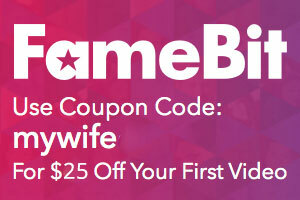 And the best part is if you use coupon code mywife@famebit.com you will automatically get $25 off. So go to famebit.com right now and get famous Youtubers to promote your products. And finally if you are interested in starting your own online business, be sure to sign up for my free six day mini course, where I show you how my wife and I managed to make over 100K in profit in our first year of business. Go to mywifequitherjob.com, sign up right there on the front page, and I’ll send you the mini course right away. Thanks for listening. Thanks for the podcast. Great information. You and Pat were talking about enter in search criteria in forums. I did not understand clearly how to go about this. I went back to try and read this in your transcript and it still didn’t make sense (I included it as a reference below”. Can you give clearer steps on this subject please, and how to go about searching forums? Thanks.